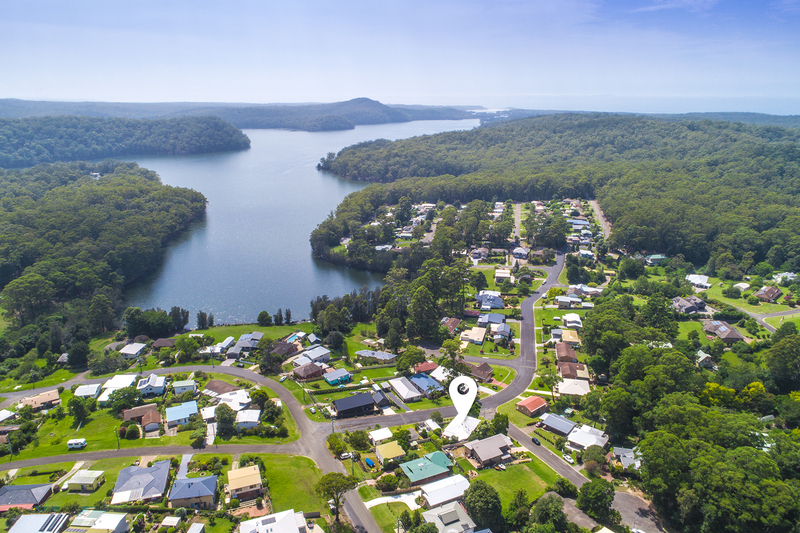 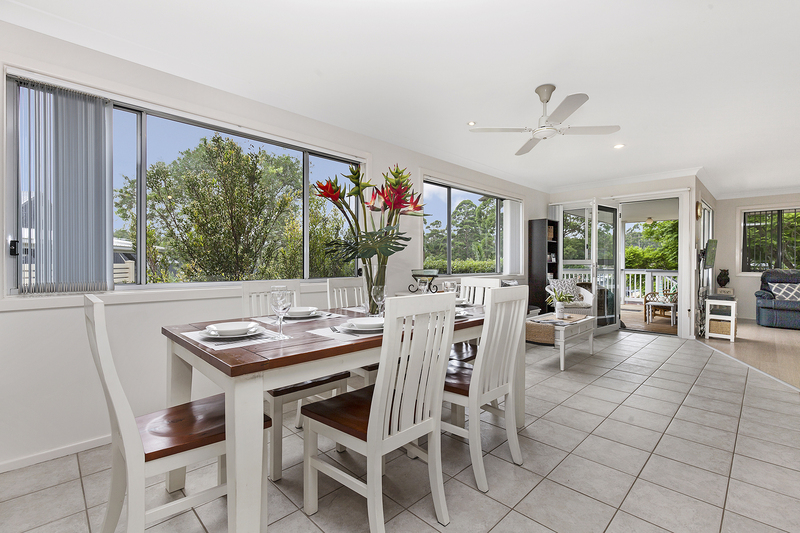 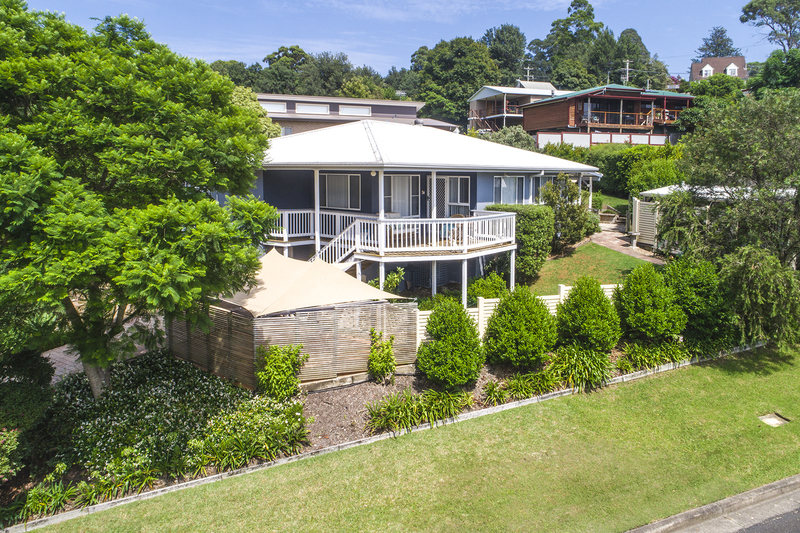 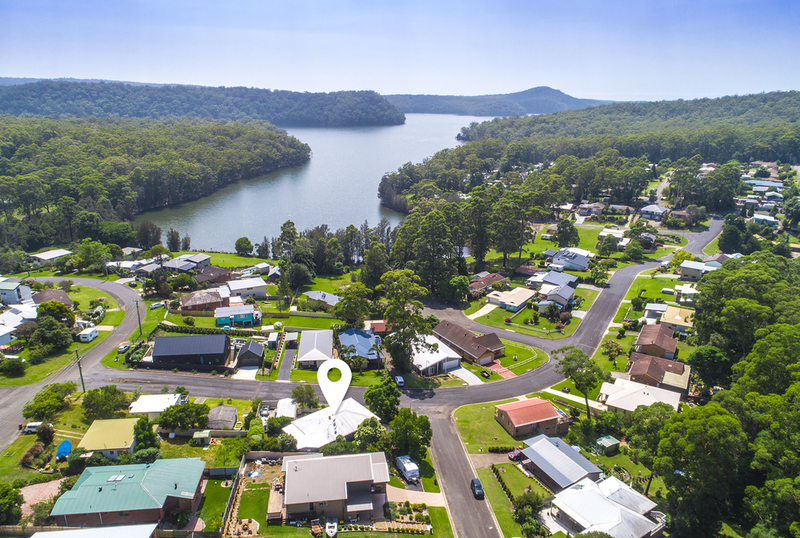 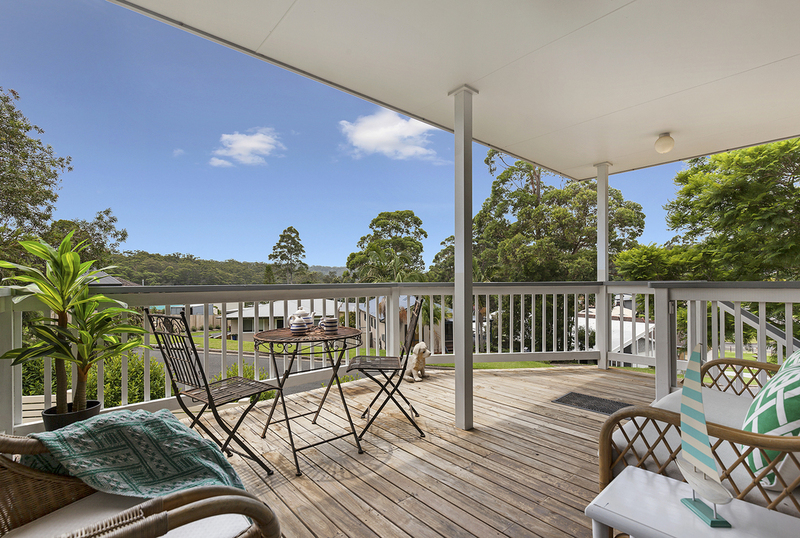 Elevated 4 bedroom home with valley outlook and filtered views to Lake Conjola. Set on a corner block over 718m2, a quality family home with established gardens and 2 outdoor areas to enjoy the leafy surrounds and coastal breeze. 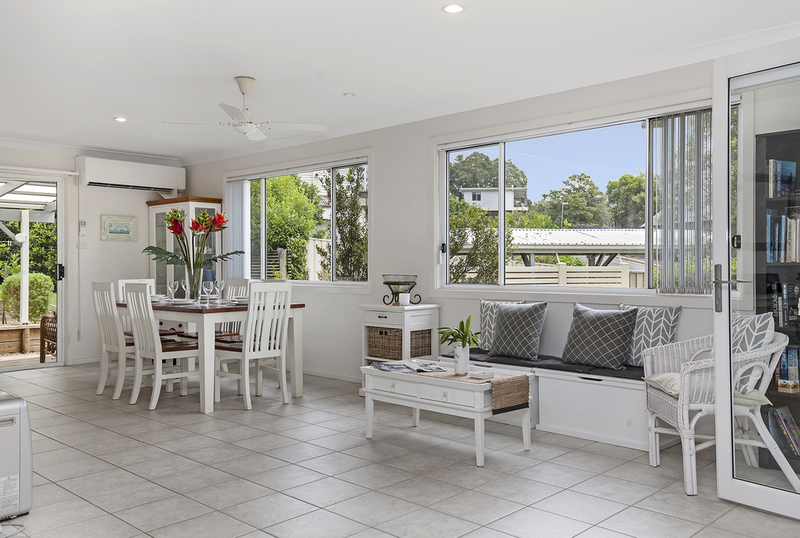 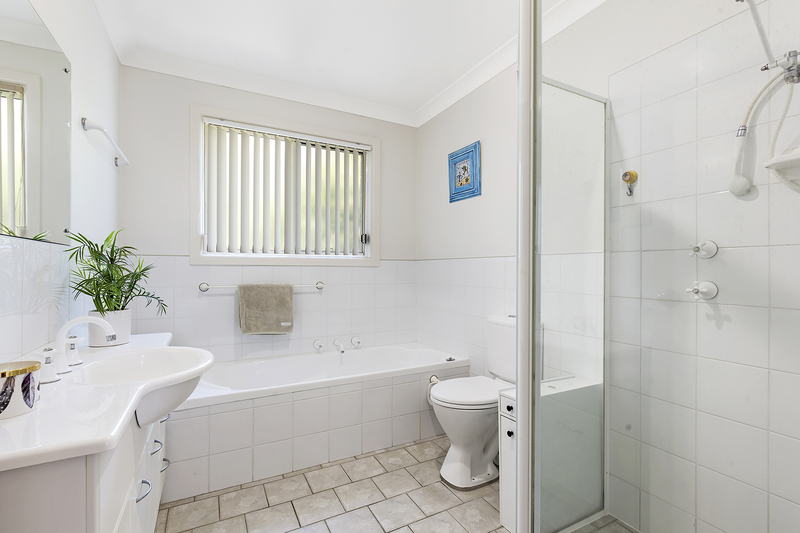 A well presented home, with fresh modern tones, renovated kitchen and bathrooms and quality flooring. 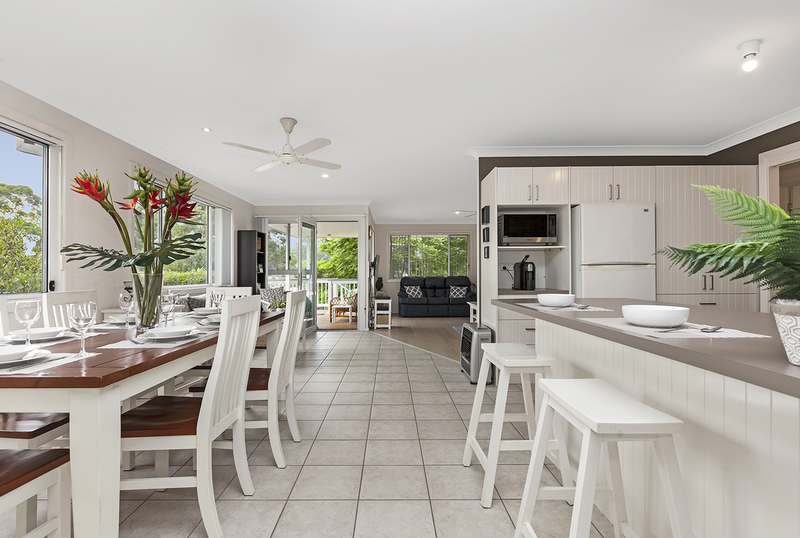 An L shaped open plan living area, with kitchen, dining and lounge. 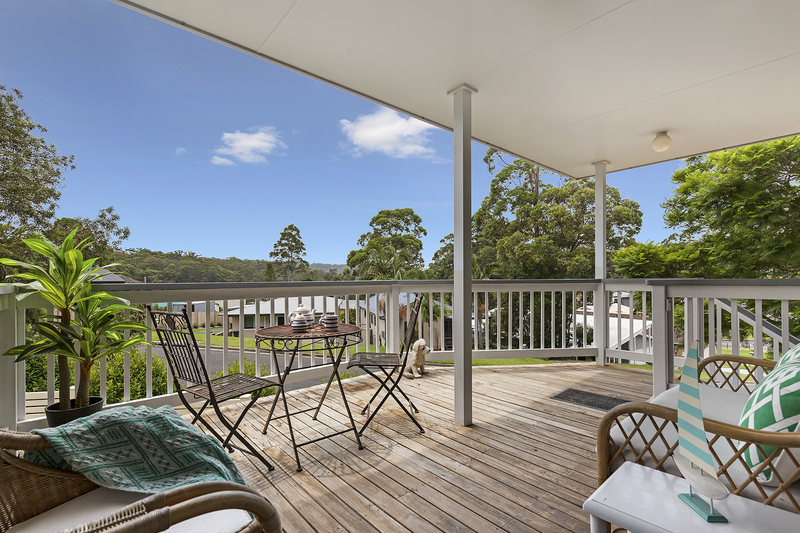 Light filled with a leafy outlook, opening out to a North East facing deck off the lounge and an undercover alfresco area off the dining room. 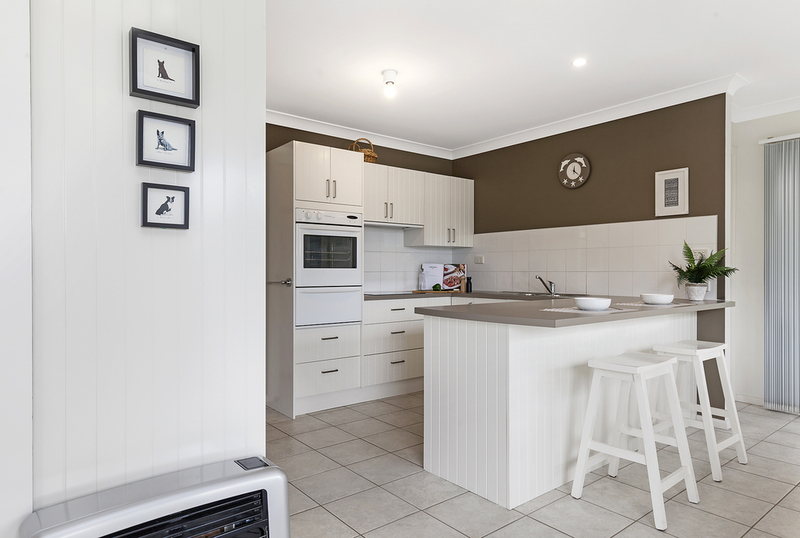 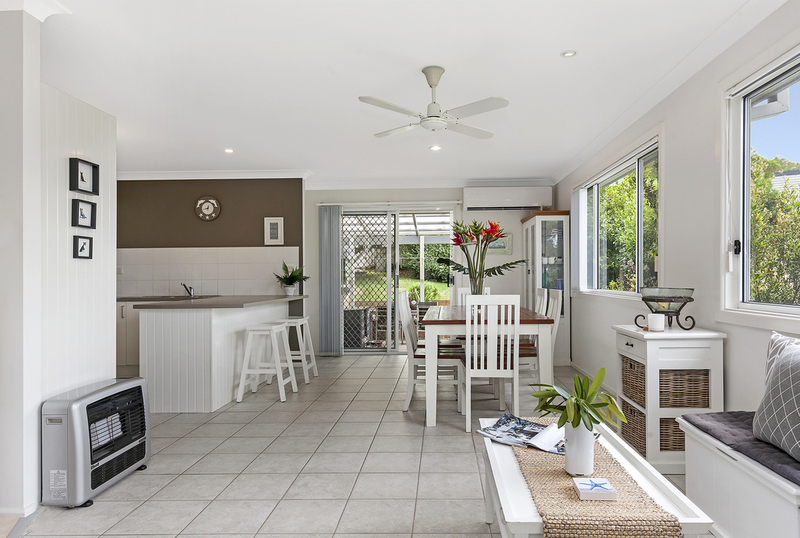 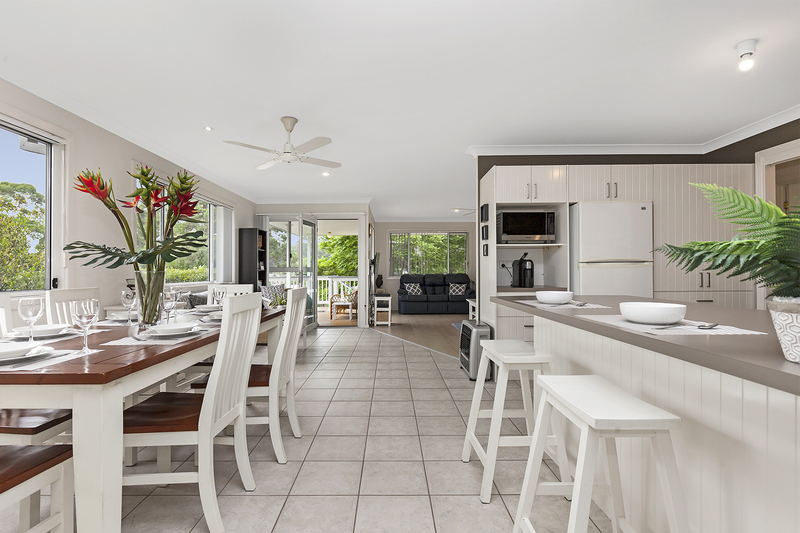 The kitchen has been recently renovated with new cabinetry doors and bench tops, giving it a fresh modern touch. 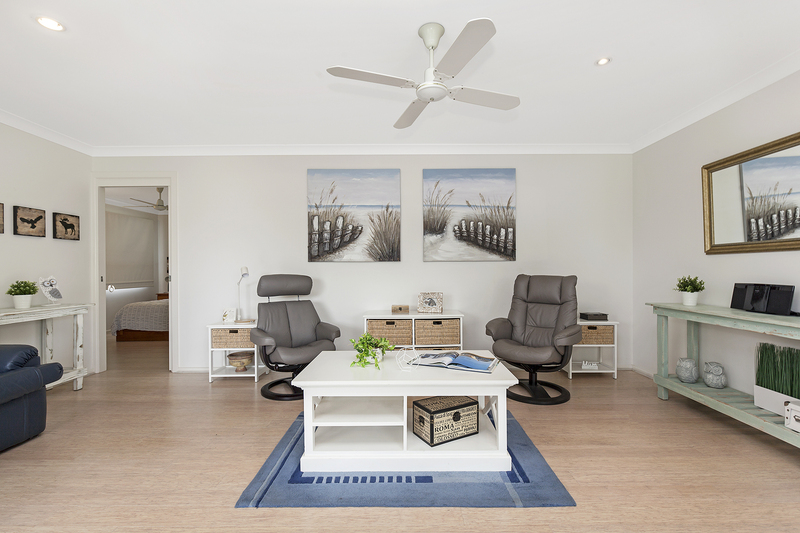 The main living area has Air Conditioning and gas points for heating. 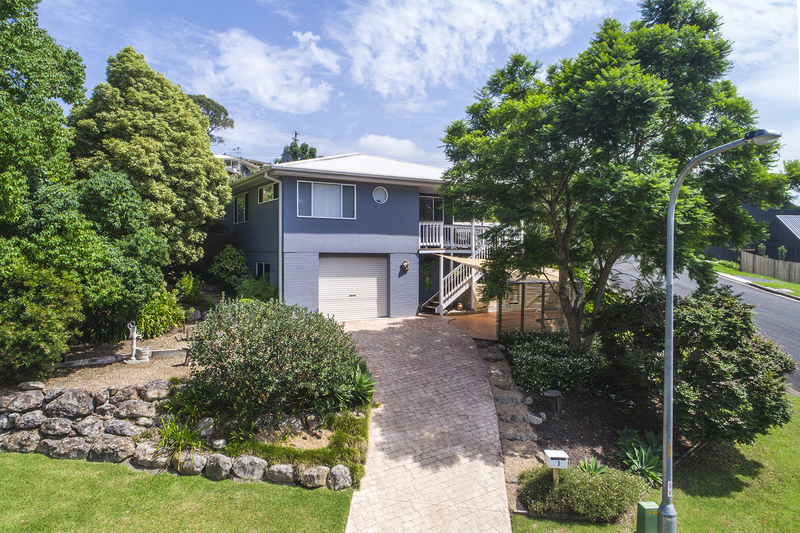 There is a single garage with storage underneath the house, with an adjacent car port and an additional car port at the rear entry, to house an extra car or boat/caravan. 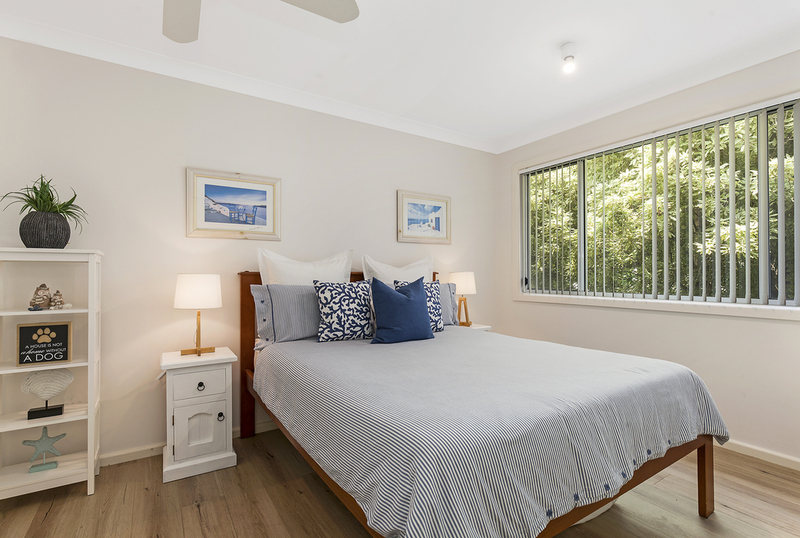 The master bedroom is privately placed at one end of the home, with BIR, fan and ensuite. The other 3 bedrooms are behind the kitchen running off a hallway and sharing the main bathroom. 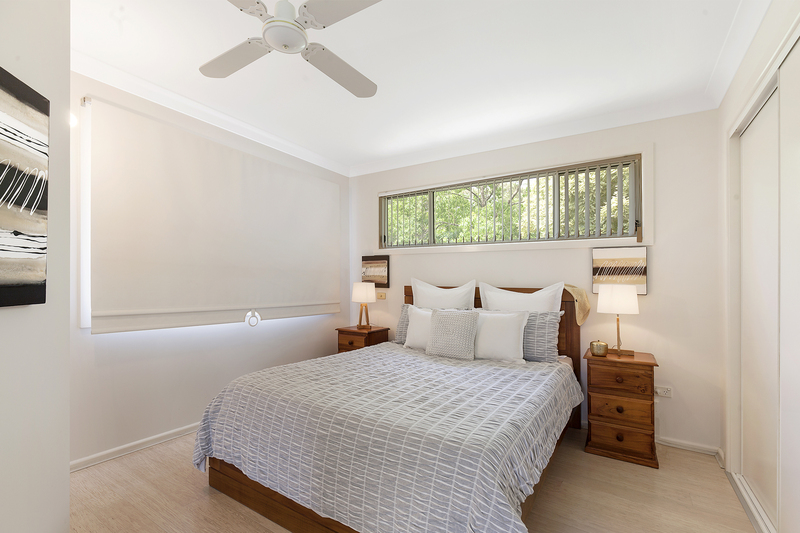 Each bedroom has a BIR and fan, the 3rd bedroom also has Air Conditioning. 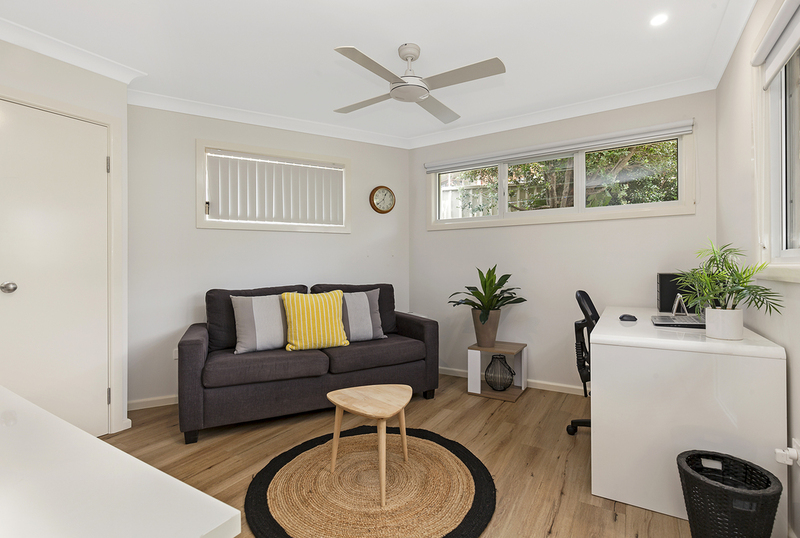 The 4th bedroom is currently used as a home office and has direct access to the rear courtyard.